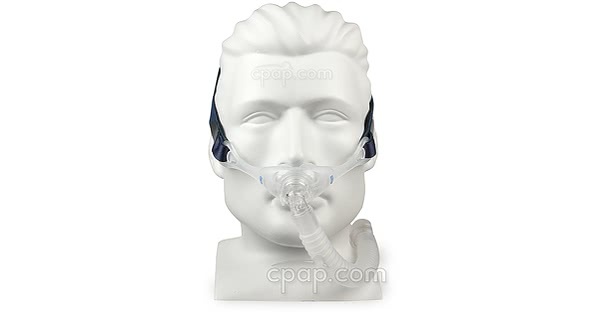 The Stealth Nasal Pillow Mask with Headgear from PMI Probasics comes with four different nasal pillows to offer each available sizing option within one package. 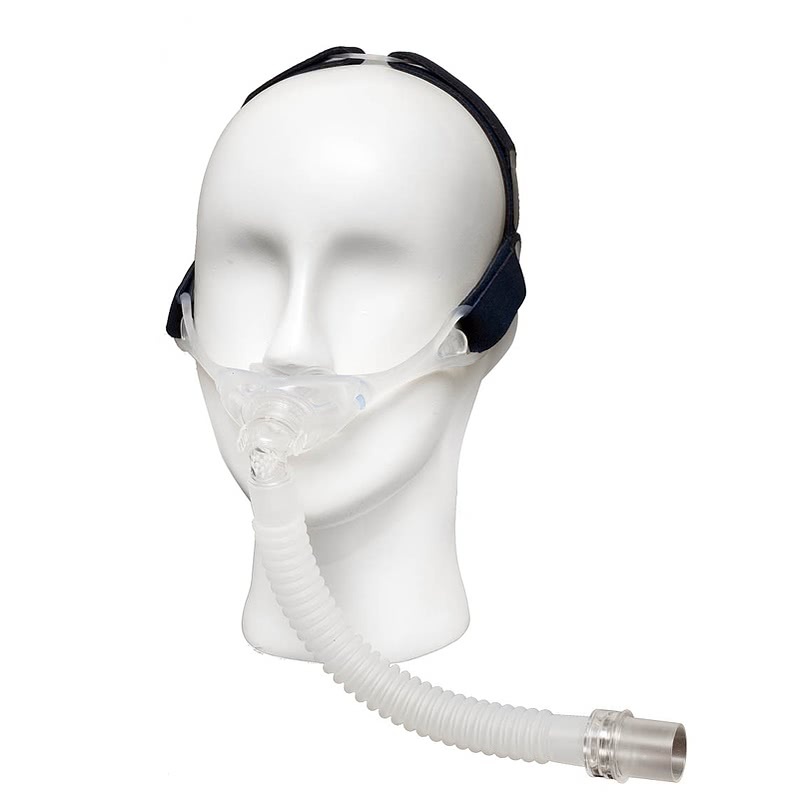 The mask is lightweight and includes a flexible short tube, which is intended to provide the user with mobility when attaching the mask to the longer hose. 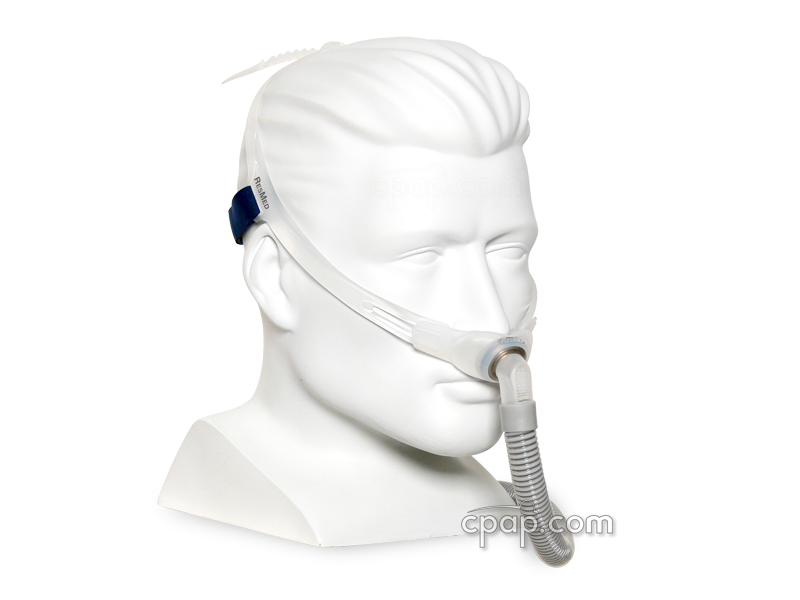 PMI Probasics Stealth Nasal Pillow Mask is a unique mask designed to provide comfort. 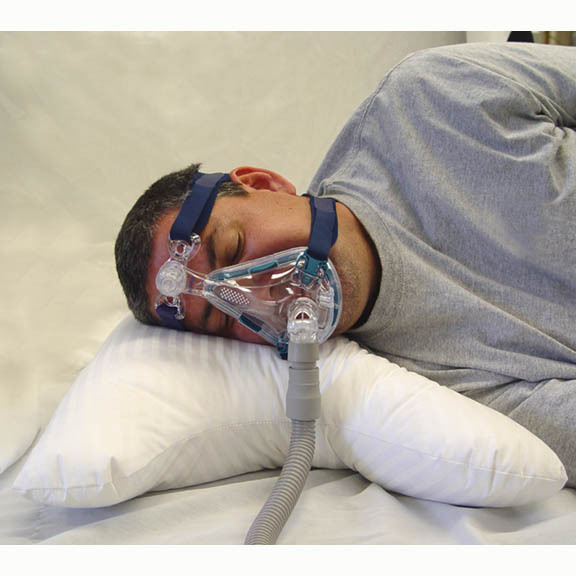 Whether choosing one of the four sizes of nasal pillow cushions or moving the short tube above the user's head, the intent of the mask is to remove obstructing objects from sleep therapy to provide optimal satisfaction for a full night's rest. Each design element has a purpose on the Stealth Nasal Pillow Mask. 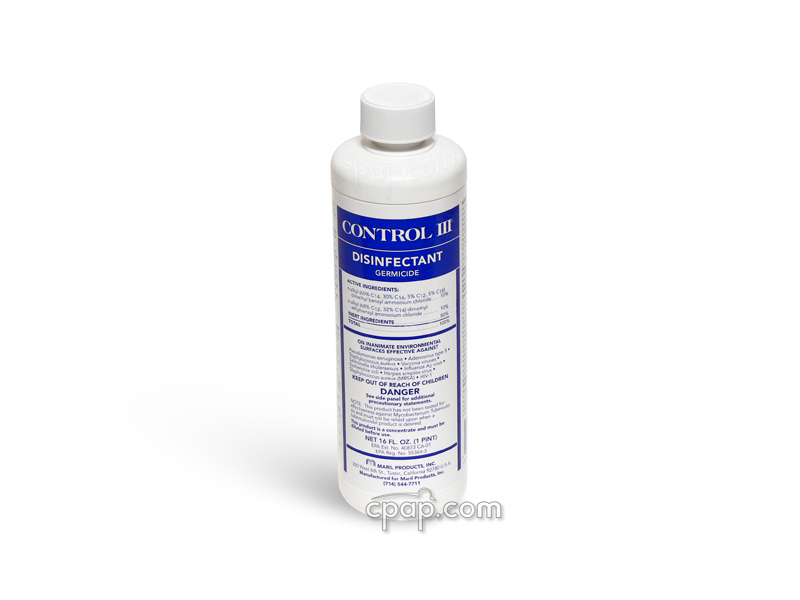 The soft silicone base is flexible, yet sturdy. 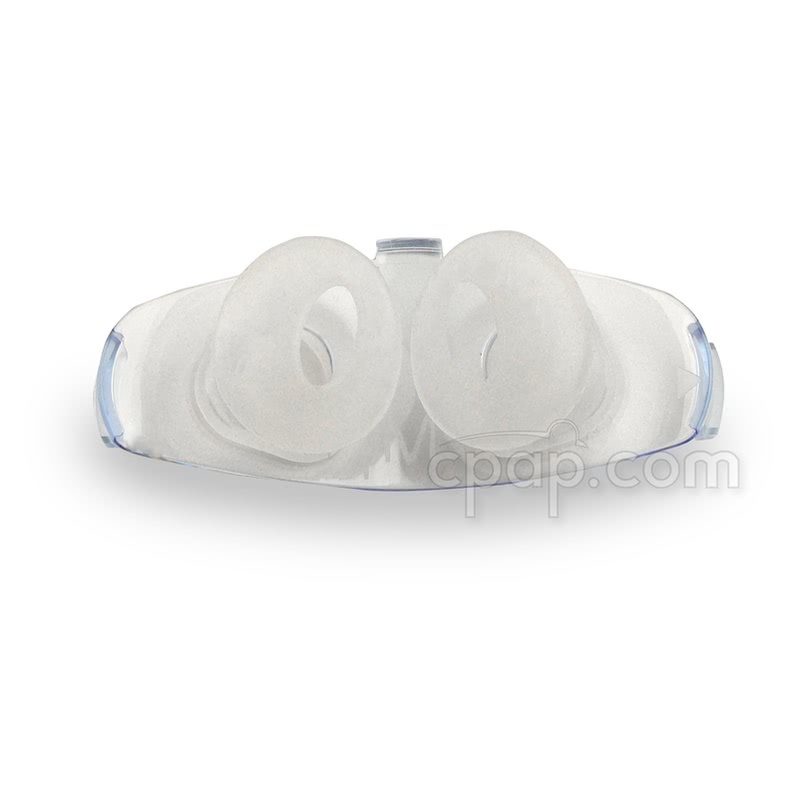 The nasal pillow cushion is secured by three latches, which snap into the silicone material. The swiveling elbow connector allows the long hose to move freely after it is attached to the short tube. This ease of movement may contribute to fewer leaks as the seal is less likely to be disrupted by movement. After waking, use the ridges placed along the bottom of the silicone base to help re-position the mask without the need for lights. Also, the quick disconnect elbow allows the user to quickly detach from the machine upon rising. To assist with reassembly of the mask, the silicone base is stamped with a directional arrow and "UP". The Stealth Nasal Pillow Mask comes with four sizes of nasal pillow cushions: X-Small, Small, Medium and Large. 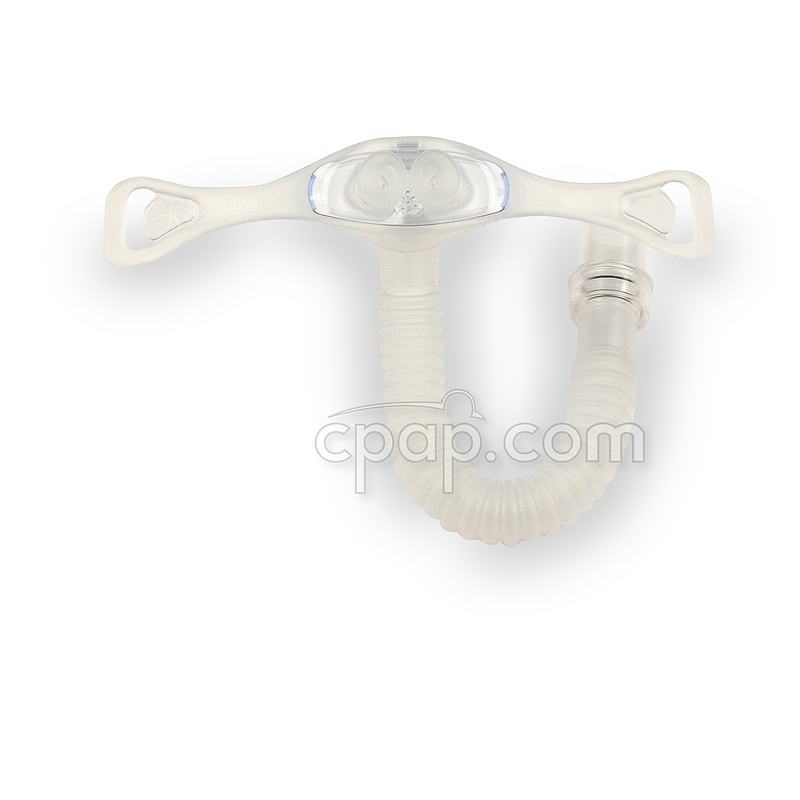 Use the triangle indicators stamped on both the base and the cradle to securely place the nasal pillow cradle into the silicone base. 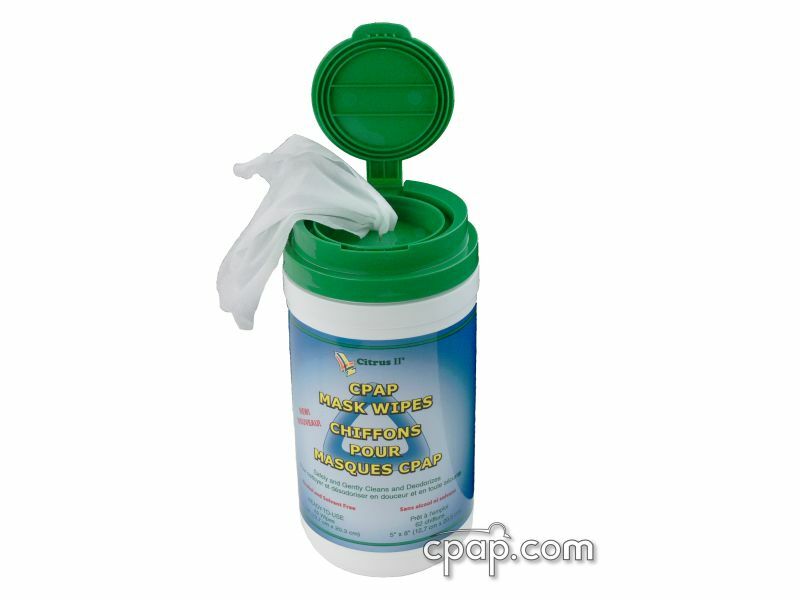 The nasal pillow cushions can be removed from the cradle for cleaning. The rotating elbow helps to provide mobility of the short tube. From the swivel the small hose may move freely, allowing the user to position the longer hose across their chest, over the side of the pillow, or over their head, once the short tube connects to the long hose. The elbow is designed to quickly disconnect from the mask. 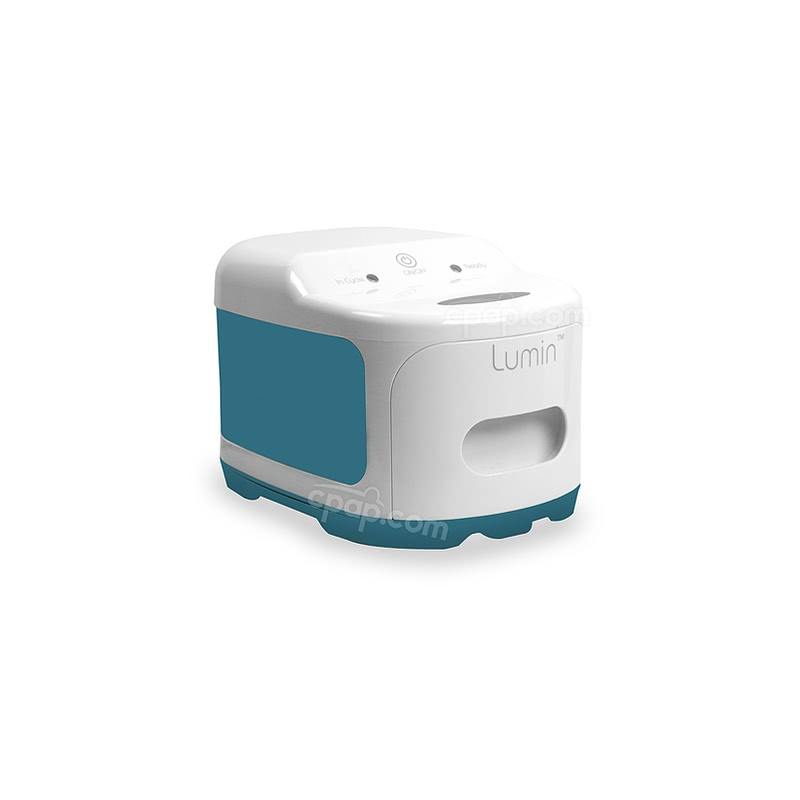 This feature is intended to provide ease when waking during the night. 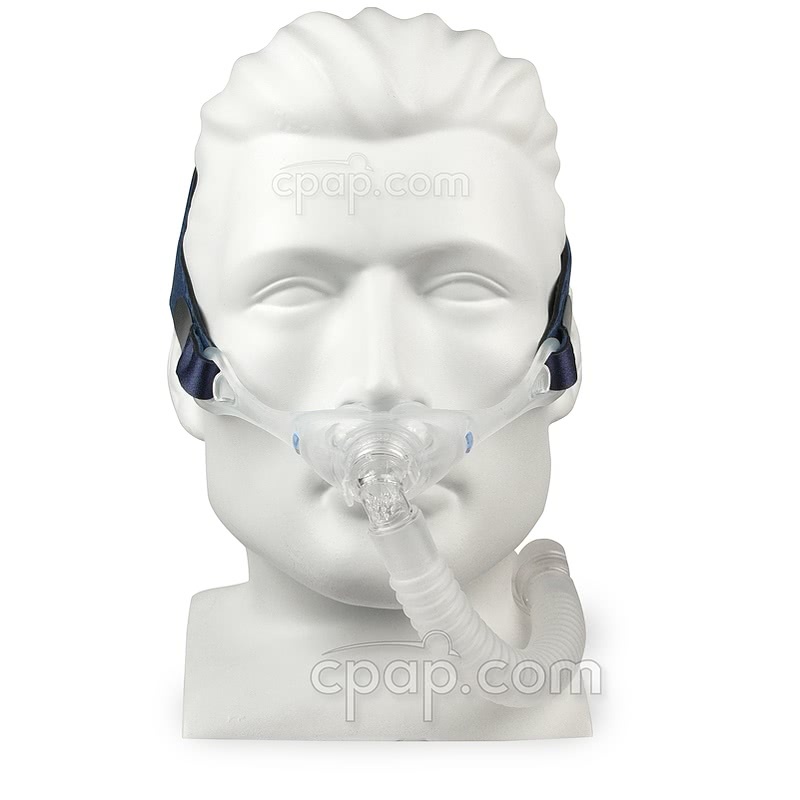 Upon waking, the user can quickly exit sleep therapy without removing the mask by detaching the short tube from the elbow. 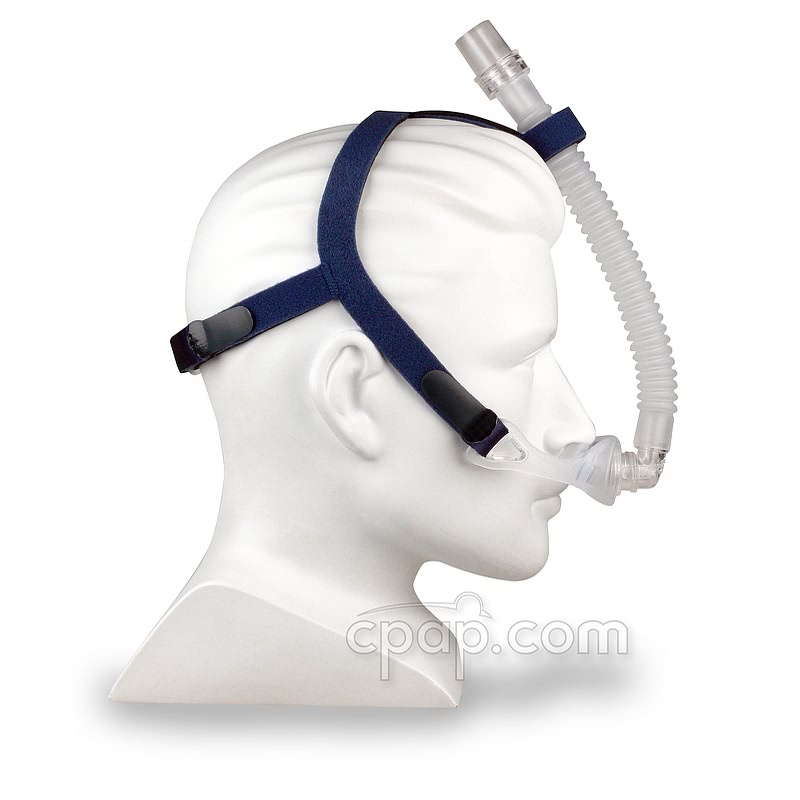 The 4-Point Headgear can be adjusted to help provide a better mask fit with fewer leaks. 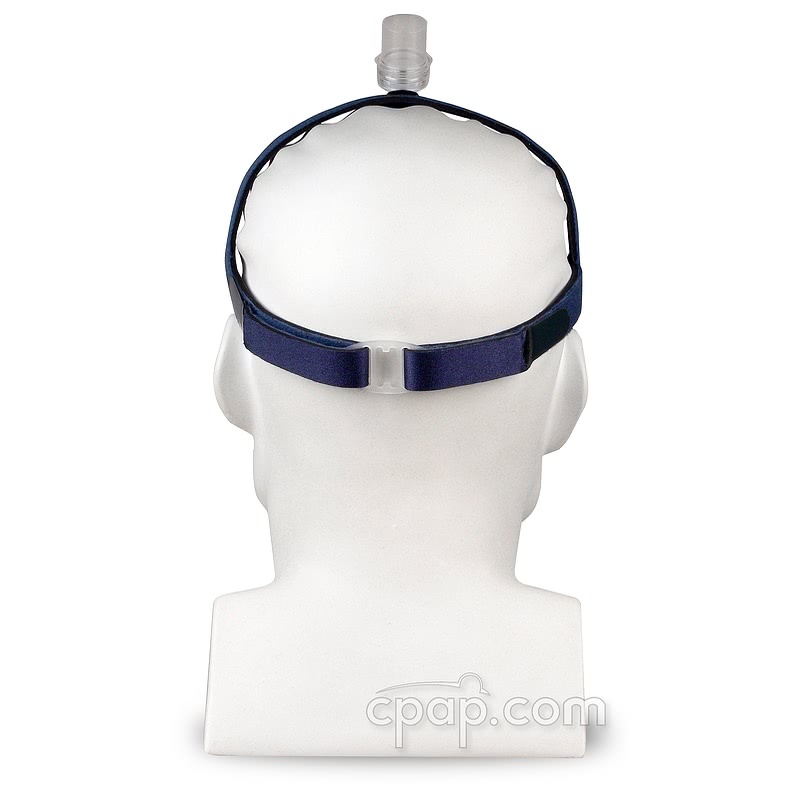 The crown strap passes over the top of the head with the rear straps passing behind the head. Use the over-the-head strap with the velcro loop to hold the short tube above the user's head. 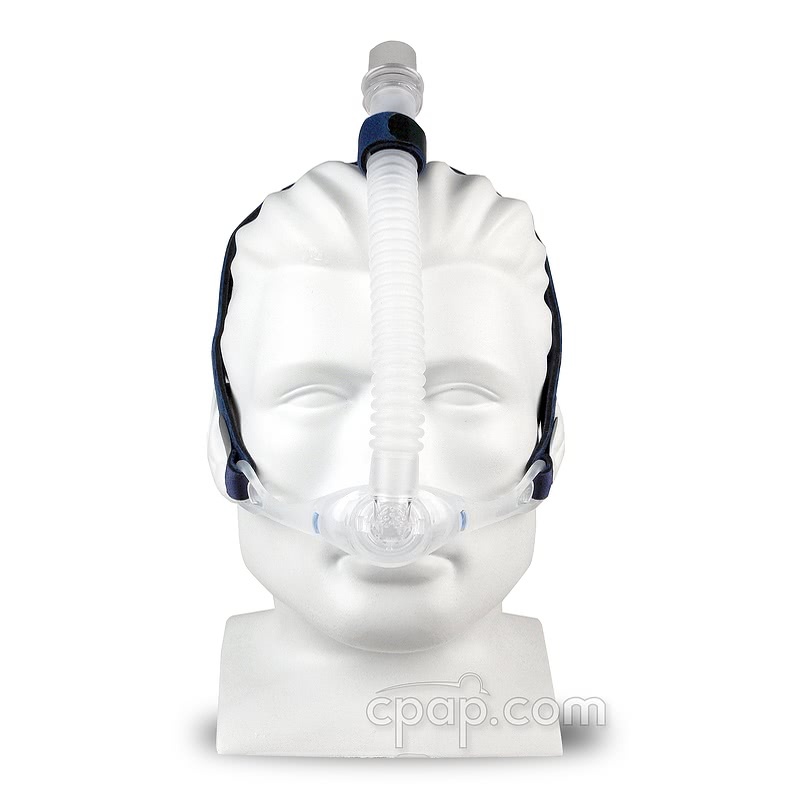 The Stealth Nasal Pillow Mask comes assembled with the Medium nasal pillow in place. The other three sizes: X-Small, Small, and Large are included in the package. The mask frame does not have an identifiable size because it offers a universal fit for each of the nasal pillow cushions. The size of the nasal pillow is found on the base of the nasal pillow cushion. A large, embossed letter is placed between the two silicone nasal pillows. The letter indicates the size of the nasal pillow cushion. Since, there is a slight differentiation in color between the base and the embossed letter, it is best to hold the nasal pillow cushion in direct light to located the letter.